Chef de Caves Richard Geoffroy was on hand to share his perspective on the wines. I was especially interested in the evolution of the Rosé, as the house style has evolved quite markedly since around 2000. It has been obvious for some time that Geoffroy is severely pushing the envelope of what is possible within the world of grand marque Champagne and Rosé in particular. If there was ever any doubt of that, this retrospective tasting erased any lingering question marks. Today, the fruit is being picked riper and there is more still Pinot Noir in the Rosé than at any time over the last five decades, which means current releases are often powerful, vinous and richly-textured. 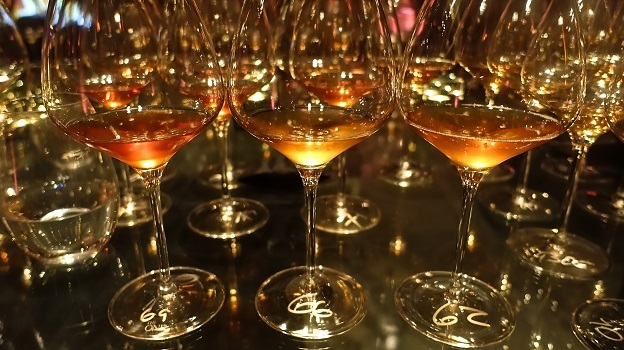 Beginning in 2000, the Rosés all have more than 20% still Pinot compared to the 15-18% that was previously the norm. The current release, the 2004, was made with 28% still Pinot. . 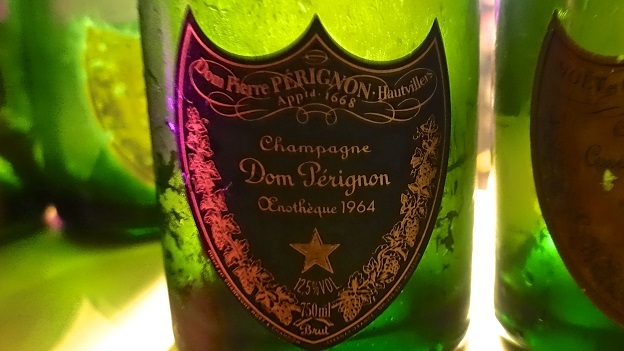 The first Dom Pérignon Rosé was the 1959, but it was not commercially released and is rarely, if ever, even seen. Production started officially with the 1962, which, incidentally, was one of the truly epic wines of the night. 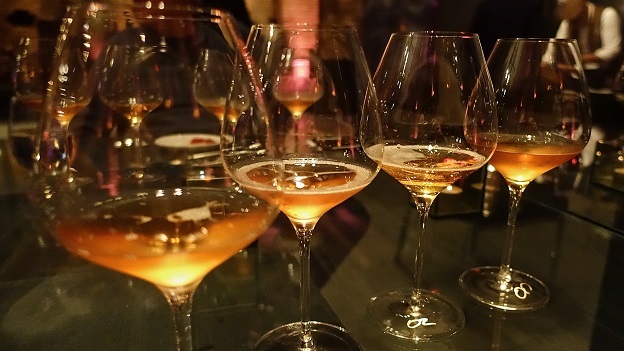 This tasting encompassed four versions of the Rosé. The original release starts with standard 750ml bottles, while magnums and other large formats appear on the market a few years later. In top vintages Dom Pérignon also produces their Œnothèque series, which spend more time on their lees than the regular bottlings, and, more importantly, are aged on cork rather than crown capsule. Depending on the vintage, the differences between the regular releases and the Œnothèques are not always significant. It will be interesting to see what happens with the Œnothèque versions of the wines from 2000 and on, when the Rosé became a richer wine. Readers should note that with last year’s releases Dom Pérignon has phased out the Œnothèque name in favor of what the house is now calling P2 and P3, designations meant to describe plateaus of maturity across a wine’s life previously referred to as ‘plenitudes.’ Call me old-fashioned, but I preferred the former Œnothèque name, which was so much more evocative. As always, Geoffroy is hard to pin down when it comes to technical details such as dosage and production numbers, although he makes no secret of his pride in achieving high quality along with volume. The reality is that these Champagnes speak for themselves, and do so quite eloquently – once you get past all of the unnecessary glitz Dom Pérignon likes to create around their brand. 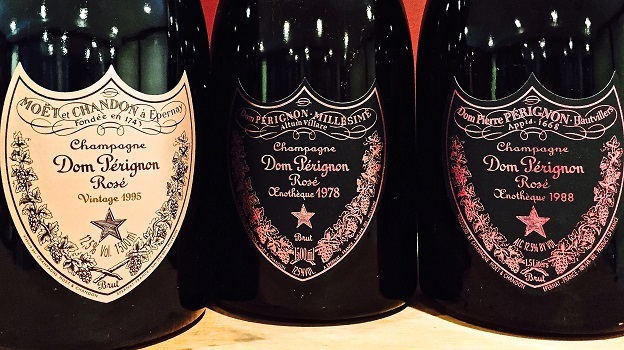 Of course, Dom Pérignon has plenty of company when it comes to grande marque bling, but at times the marketing can be easily mistaken for gross superficiality, which is a shame for a house that makes serious wines that deliver the goods. The tasting starts with the four most recent vintages, wines that are fascinating for so many reasons, including illustrating the house’s very noticeable move towards a more adventurous, provocative style. The 2004 Dom Pérignon Rosé screams out of the glass with stunning energy and layers of bright, saline-infused minerality. 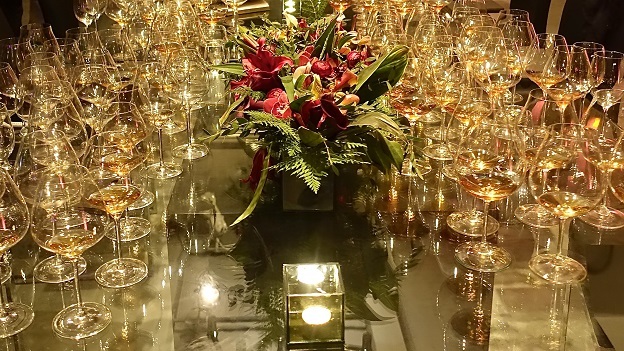 Precise and chiseled to the core, the 2004 captures the essence of a vintage that is only now getting its due. As good as the 2004 is today, readers would do well to give the wine at least a few more years in bottle. This is one of the great recent vintages of Dom Pérignon's Rosé – that much is abundantly clear. The 2004 has really come along nicely over the last few years. Disgorged 2014. One of the positive surprises in this tasting, the 2003 Dom Pérignon Rosé is now finally beginning to put on a little weight, although it remains inward and very much tightly wound. It will be interesting to see how the Rosé develops. The 2003 Blanc has always been more impressive than the Rosé. This is the first time I have seen anything that suggests the gap between the two 2003 might narrow some day. Sweet exotic aromatics linger on a finish that remains marked by a slight element of astringency. Disgorged 2012. I have a distinct feeling the 2002 Dom Pérignon Rosé is still not showing all of its cards. A bit more restrained in its expression than the alluring 2002 Blanc, the Rosé is quite vertical in its structure and overall feel. Hints of cranberry, mint and spice emerge in an exotic, powerful Champagne that deftly balances fruit, acidity and structure. This is a fabulous showing from the 2002. Disgorged 2012. 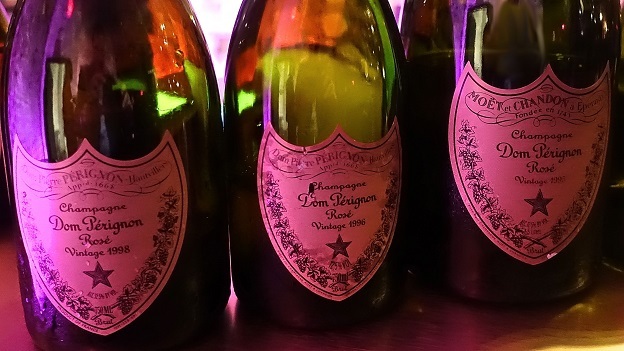 The 2000 Dom Pérignon Rosé is a turning point for the house, as it represents a move towards a more ambitious, bold style that is a clear departure from the past. Now showing the very first signs of early development, the 2000 is also an ideal choice for drinking today. Crushed flowers, rose petals, sweet red berries and spices are laced into the racy, welcoming finish. Disgorged 2018. In this context, the 1998 Dom Pérignon Rosé comes across as a touch slender and compact, with early signs of oxidation and textures that are quickly moving towards being fully resolved. On its own, I imagine the 1998 Rosé might show better and be quite enjoyable, but in this setting, its proper place in history is obvious. I don’t see any upside from further cellaring. It’s time to drink up. Sadly, this is not a particularly distinguished showing from the 1998, a wine that has been more impressive in the past. Disgorged 2007. Another example of this era, the 1996 Dom Pérignon Rosé offers plenty of energy and tension, both signatures of the vintage. At the same time, though, the fruit never fills out, which tilts the balance to acidity and austerity. Frankly, I liked the 1996 more when it was younger. Today, the fruit has either begun to drop out or is simply less expressive. I look forward to checking in on the 1996 soon to see if this may have been a less than perfect example. Disgorged 2004. The 1995 Dom Pérignon Rosé (magnum) is absolutely stellar. Of course, the magnum format helps, especially vis-à-vis the 1996. The 1995 might fall just short of being truly epic, but not by far. Today, it is the wine’s overall balance and harmony that are most captivating. A Champagne with no hard edges and tons of pure appeal, the 1995 Rosé is wonderfully open, soft and expressive today. The 1995 Dom Pérignon Rosé P2, the current release in the P2 (formerly Œnothèque) series, the 1995 is softer, creamier and also brighter than the regular release. Crushed flowers, sweet spices and expressive red berries waft from the glass in an understated, delicate Champagne that is all about refinement. Several bottles have all been gorgeous, but readers should expect a Rosé that emphasizes understated elegance over power. Disgorged 2011. One of the many surprises in this tasting, the 1993 Dom Pérignon Œnothèque Rosé is truly spectacular. Explosive, voluptuous and also quite tannic on the palate, the 1993 boasts superb density to match its powerful personality. Readers lucky enough to own the 1993 are in for a real treat. Unlike the 1995 or 1996 – both far more celebrated vintages – the 1993 has the balance to continue to improve in bottle. What a gorgeous wine this is. Disgorged 2011. The 1992 Dom Pérignon Œnothèque Rosé is quite lifted and silky in style, with lovely overall balance and tons of nuance. Delicate floral and spice notes add complexity to a soft, gracious Champagne that has now arrived at a plateau of maturity where it will remain for at least a few more years. The 1992 is striking today, although it does not appear to have the staying power of either the 1993 or 1990. Disgorged 2007. The 1990 Dom Pérignon Rosé (magnum) is powerful and explosive in style, with superb overall intensity. In this flight, the 1990 comes across as a more polished version of the 1993. Just beginning to enter its tertiary phase, the 1990 is in a great place to deliver maximum pleasure. Autumn leaves, crushed flowers mint and sweet red berries add nuance on the racy, creamy finish. A beguiling, mysterious Champagne, the 1990 Dom Pérignon Œnothèque Rosé (magnum) is totally exotic, as it always is. Orange peel, crushed rocks, dried rose petals, white pepper and cranberry lift from the glass. In bottle, the 1990 can be a bit fleeting, but in magnum it shows much more depth and power, with veins of saline-infused minerality that give the wine much of its vibrant, sizzling energy. Tonight, the 1990 Œnothèque Rosé is simply stunning. Disgorged 2000. The 1988 Dom Pérignon Rosé (magnum) is all about subtlety and finesse. Intensely perfumed and silky on the palate, the 1998 is wonderfully nuance and pure. Savory and floral notes abound in this striking, highly expressive original release. Disgorged 2004. The 1988 Dom Pérignon Œnothèque Rosé (magnum) opens with the classic, reductive DP bouquet before layers of fruit flesh out in the glass. Weightless yet also energetic, the 1988 Œno is also a bit more generous than the regular release. Tasting both side by side is a revelation. The airy, perfumed finish alone is captivating. The 1986 Dom Pérignon Œnothèque Rosé is another wine that in any other setting would likely be impressive, but here it comes across as a bit fragile and slightly advanced, both of which suggest any remaining bottles need to be enjoyed within the next few years. Still, all things considered, the 1986 has held up well, especially in the standard bottle. Disgorged 2004. A wine of real power and intensity, the 1985 Dom Pérignon Rosé is exceptionally beautiful tonight. The flavors are rich, layered and expansive. Hints of caramel and hazelnut add nuance to a core of expressive red berry fruit, but it is the wine’s textural generosity that is most impressive considering the 1985 is now thirty years old. The 1985 is not an eternal wine, but it has reached a glorious plateau of maturity. Wow! I would not have thought it possible, but the 1985 Dom Pérignon Œnothèque Rosé (magnum) is even more striking than the original release. Here the extended time on the cork and magnum format seem to confer an extra degree of crystalline purity and nuance. There is plenty of depth and power, but accompanied by a sense of weightlessness that is impossible to miss. When all is said and done, the two 1985s aren’t that different from each other. Disgorged 2008. The 1982 Dom Pérignon Rosé is pretty, but it is also quite forward. Dried red cherries, crushed flowers and spices lift effortlessly from the glass. The 1982 still has good depth, but the flavor profile is now close to fully tertiary, so there is really nothing to be gained from further cellaring. Easily the best of the 1980s Rosés, the 1982 Dom Pérignon Œnothèque Rosé (magnum) is utterly spellbinding. Although the 1982 is 60% Chardonnay, the Pinot is often quite expressive, as it is on this night. Ethereal, silky and refined on the palate, the 1982 is sublime. I once owned four magnums of the 1982 Œno Rosé. Sadly, those bottles are now gone. The memories, though, will last a lifetime. I would prefer to finish any remaining magnums over the next five years, as anything beyond that is really pushing it. Still, the 1982 remains one of the most spellbinding, moving Champagnes I have ever had the privilege of tasting. I can only hope another opportunity to drink this magical elixir will present itself in the future. Magnums of the 1982 Œno Rosé are now priced in the stratosphere. For readers with the resources, though, the 1982 is just about as good as it gets. Disgorged 2004. The 1980 Dom Pérignon Rosé (magnum) is a real eye-opener. Perhaps jut a bit rough around the edges next to some of the other wines in this lineup, the 1980 nevertheless possesses superb depth, vinous intensity and texture. Tonight, the wine’s ample, generous personality is simply overwhelming in its beauty. What a gorgeous wine to round out the flight. A last minute addition to this tasting, 1978 Dom Pérignon Œnothèque Rosé (magnum) is superb and also the freshest of the four 1970s wines in this grouping. The magnum format no doubt helps, as this is a truly great showing. The 1978 is a bit compact, austere and at times slightly green/savory, yet it retains striking energy. Sweet tobacco, leather and cedar overtones linger on the super-expressive finish. Disgorged 2004. The 1975 Dom Pérignon Rosé (magnum) comes across as fully mature. Dried cherry, licorice and tobacco scents lift from the glass, but there is not too much more upside to be gained from further cellaring. The 1973 Dom Pérignon Rosé is the most advanced of these four Champagnes from the 1970s, with fully tertiary notes and fully resolved contours. Brown spices, leather, licorice and worn-in leather add a measure of nuance on the finish. Any remaining bottles need to be finished. A timeless beauty, the 1971 Dom Pérignon Rosé (magnum) presents a hugely appealing combination of energy and fully mature flavors, with more than enough depth to drink well for at least another handful of years. Hints of citrus peel, ginger and exotic spices add further shades of nuance in a super-expressive Champagne that is currently at a peak of glory. 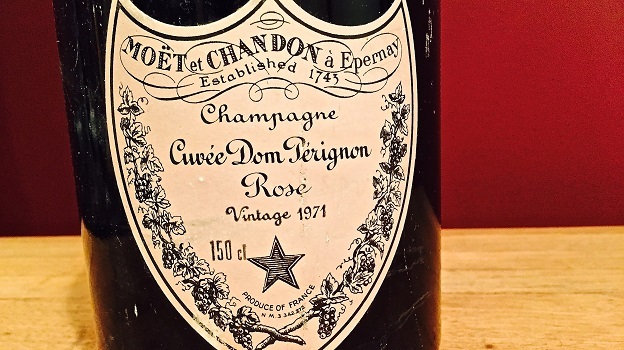 The 1969 Dom Pérignon Rosé (magnum), from an extraordinarily challenging vintage marked by both frost and, later in the year, botrytis, is off the charts. There is not much more I can say than that. Remarkably dense and powerful for a wine of its age, the 1969 captivates the senses with a magnificent, exotic bouquet, seemingly endless layers of fruit and stunning overall balance. Hints of dried cherry, rose petal and orange rind linger on the exquisite, sweet finish. In an evening of great Champagnes, the 1969 takes its place as one of the best. Unforgettable. The 1966 Dom Pérignon Œnothèque Rosé is pure sensuality in the glass. The flavors are soft, open-knit and beautifully mellowed by time. Hard candy, flowers, mint and sweet spices are laced into the supple finish. Now nearly 50 years old, the 1966 is clearly fading, but it is still moving to contemplate it in the glass. Disgorged 2013. One of the absolute highlight of this tasting, the 1962 Dom Pérignon Rosé, from the original release, halts all conversation at the table. The explosive energy and intensity are those of a cold, late-ripening year that helped preserve a remarkable level of intensity. A host of sage, mint, copper, orange zest and exotic floral notes flesh out, but it is the wine’s textural resonance that truly stands out. Although fully mature, the 1962 appears to be holding at a plateau of glory, where it should stay for at least another handful of years given its depth. Readers lucky enough to own well-stored bottles are going to experience what is simply one of the greatest Champagnes ever made. Last year, at Hautvillers, I tasted the 1962 Blanc Œnothèque. The 1962 Rosé is every bit its equal, and then some. Disgorged 1970. The evening comes to a rousing end with the 1964 Dom Pérignon Œnothèque, which is refreshing and striking in its beauty. Perhaps because it is served after so many Rosés, the 1964 Œno comes across as quite bright, especially for a wine of its age. Hints of pear and jasmine linger in a Champagne that impresses for its depth, and above all, its freshness considering it is now more than forty years old. This is one of the best bottles of 1964 Œno I have had. Disgorged 2012. With that, it’s time to brave back into the hostile New York City winter. I can’t emphasize what a privilege it was to be part of this historic evening of Champagne and impassioned discussion that the world’s greatest wines inspire.